An der WEGA 2015, der Thurgauer Herbstmesse in Weinfelden, Halle 5, Eingang Marktplatz, vom 24. bis 28. September. Article of VisAsim, NewSLetter of Network City and Landscape NSL, 24th December 2014. Theme: Energy. Article of VisAsim, forum.landschaft Infoletter 4/14, 18th December 2014. Exhibition stand of VisAsim at "Forum für Wissen 2014: Landschaft und Energiewende", at the Swiss Federal Institute for Forest, Snow and Landscape Research WSL, 25th November 2014. Presentation of VisAsim at the Acoustics Colloquium, 19th November 2014. Theme: "Visuell-Akustische Simulation zur Bewertung der Landschaftsverträglichkeit von Windparks". Visit the VisAsim Gallery for some impressions of the Acceptability Study in Basel and Zurich. Akzeptanzstudie zur Wahrnehmung von Windparks in Schweizer Landschaften. Perceptions of Wind Parks in Swiss Landscapes - We want to evaluate the acceptance of simulated wind parks in different landscape types with sound. This will allow deriving possible applications for such simulation tools. Manyoky, M., Wissen Hayek, U., Heutschi, K., Pieren, R., Grêt-Regamey, A., (2014): Developing a GIS-Based Visual-Acoustic 3D Simulation for Wind Farm Assessment. ISPRS Int. J. Geo-Inf. 2014, 3, 29-48. 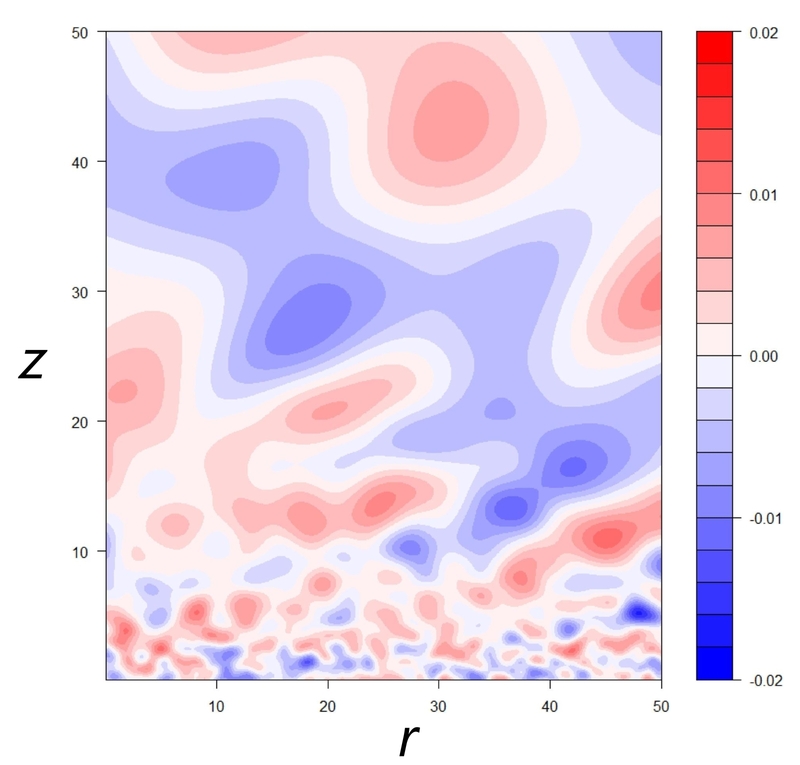 Heutschi, K., Pieren, R., Müller, M., Manyoky, M., Wissen Hayek, U., Eggenschwiler, K., (2014): Auralization of Wind Turbine Noise: Propagation Filtering and Vegetation Noise Synthesis. Acta Acustica united with Acustica, 100(1), pp. 13-24. Pieren, R., Heutschi, K., Müller, M., Manyoky, M., Eggenschwiler, K. (2014): Auralization of Wind Turbine Noise: Emission Synthesis. Acta Acustica united with Acustica, 100(1), pp. 25-33. Ulrike Wissen Hayek and Madeleine Manyoky receive the first prize of the poster competition "My 3D Landscape" by vote of the participants of the conference Digital Landscape Architecture 2013. Poster and short presentation of VisAsim at the DLA Conference 2013, Bernburg, Germany. Conference theme: Connectivity and Collaboration in Planning and Design. Presentation of VisAsim at the 7. UNIGIS-Day at the Hochschule für Technik Rapperswil (HSR), Switzerland. Theme: GIS Applications, Geodata-based 3D Landscapes. Heutschi, K., Pieren, R.(2013): Auralization of Wind Turbines In: Conference Proceedings of the AIA-DAGA 2013 Conference on Acoustics, Merano, Italy. Presentation of VisAsim at the AIA-DAGA 2013 Conference on Acoustics, Merano, Italy. Conference theme: Recent developments and future trends in acoustics. The new Mobile Virtual Acoustic Lab (MVAL) of PLUS meets the requirements to test virtual-acoustic simulations within laboratory conditions. The MVAL consists of noise absorbing curtains, a quiet beamer, a mobile screen and an aluminum construction with elements no longer than 1m to transport the construction to arbitrary locations. Furthermore, 5 loudspeakers are set up in a pentagon setting and calibrated using a sound level measuring device to ensure an optimal spatial acoustic field. Presentation of VisAsim at the DLA Conference 2012, Bernburg, Germany. Conference theme: Dialogue on GeoDesign, 3D-Modeling and Visualization in Landscape Architecture. This year's geosuisse/IGS-Award was assigned on suggestion of the Notenkonferenz to Madeleine Manyoky, Master of Science ETH in Geomatic and Planning, for her master thesis "SoundLandscape – GIS-based landscape visualizations with integration of acoustic emissions of wind turbines", which was supervised by Prof. Adrienne Grêt-Regamey and Prof. Hilmar Ingensand. The "Scientifica - Zürcher Research Days" are taking place from August 26 - 28 2011, and researchers from the University of Zurich and the ETH Zurich will present their research areas. The topic of the Scientifica is"Energy". With regard to the focus topic "Energy for our daily life" PLUS provides an exhibition of visual-acoustic 3D landscape visualizations and how these can be used for landscape impact assessment of wind farms. 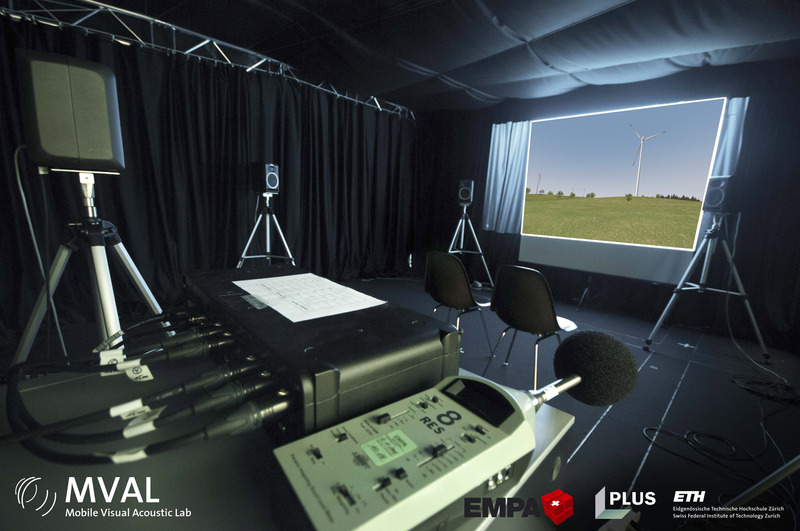 Equipped with 3D glasses and earphones you can explore yourselves where and how loud wind turbines are in the virtual landscape model and assess the landscape aesthetics. The interactive 3D model of the Mont-Crosin (BE) allows for exploring the rather realistic simulation of the real situation. But not only virtual visualizations are provided. Scaled models of the landscape show further visualization instruments that are suitable to support spatialand landscape planning processes.